Located in Sainte-Julie, Espace Tonik is a place where nature, physical activities, wellness and healing come together as one. To spread the word about this gem in surrounding cities, we came up with the theme Le luxe de l’évasion - Au gré des éléments (Luxurious escape - In step with the elements), rolled out online and in a brochure. 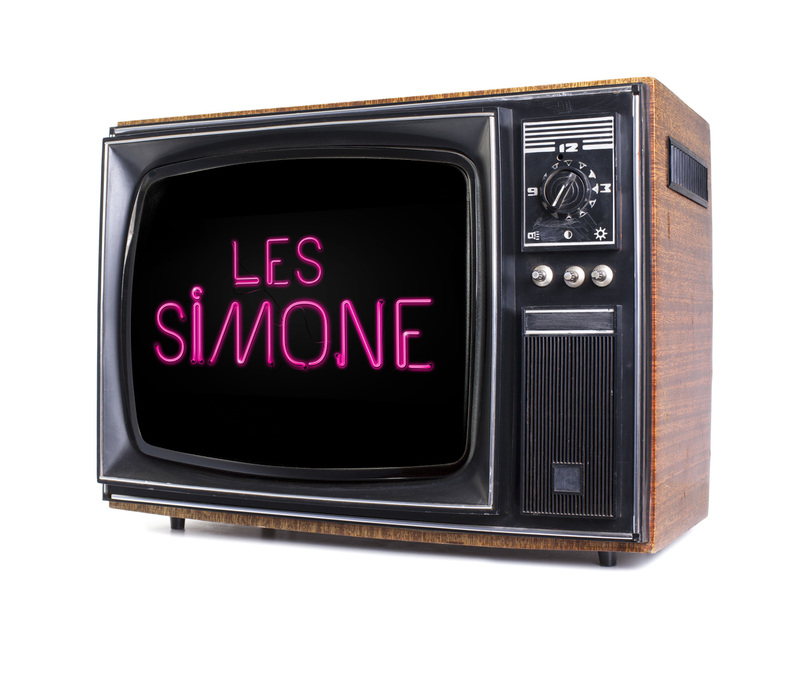 Our debut on the cultural stage takes the shape of the design of the visual identity of the new comedy-drama Les Simone, produced by KOTV. We were in charge of the creation and artistic direction of the show’s graphics, including the motion design opening credits, the bumper and the graphic design of the text messages that make up part of the show’s storyline. Our collaboration with Shoot Studio led to the production of a one-of-a-kind advertisement for KO Scène. Make-up, photo shoots and graphic design . . . The result? 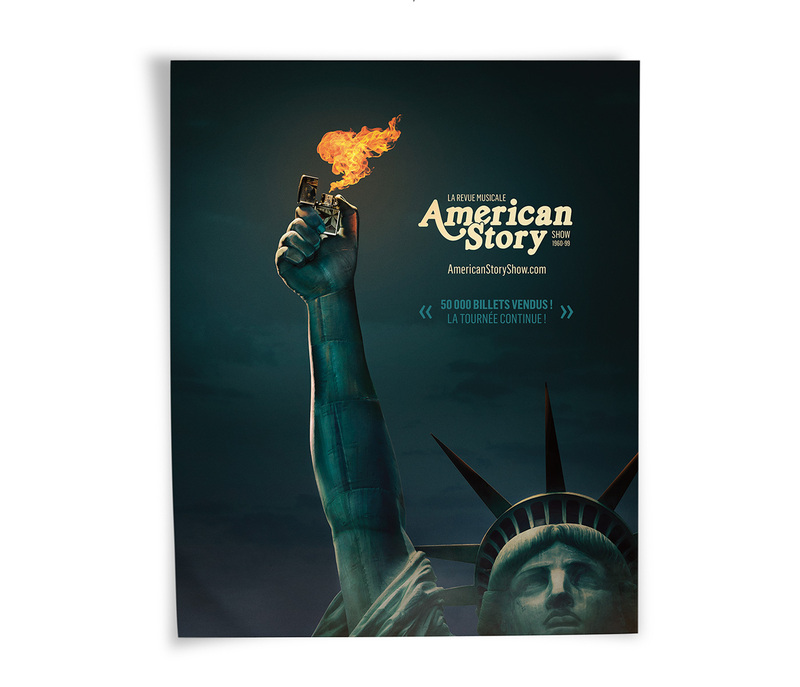 Impactful visuals depicting an original take on The American Story Show. Voyou undertook the complete website rebuilding of indoor free-fall simulators SkyVenture and iFly Toronto. Our mandate? Design a powerful transactional web platform, increase web visibility and offer users an exceptional web experience. Mission accomplished! ÉCONOFITNESS Making the gym more attractive! 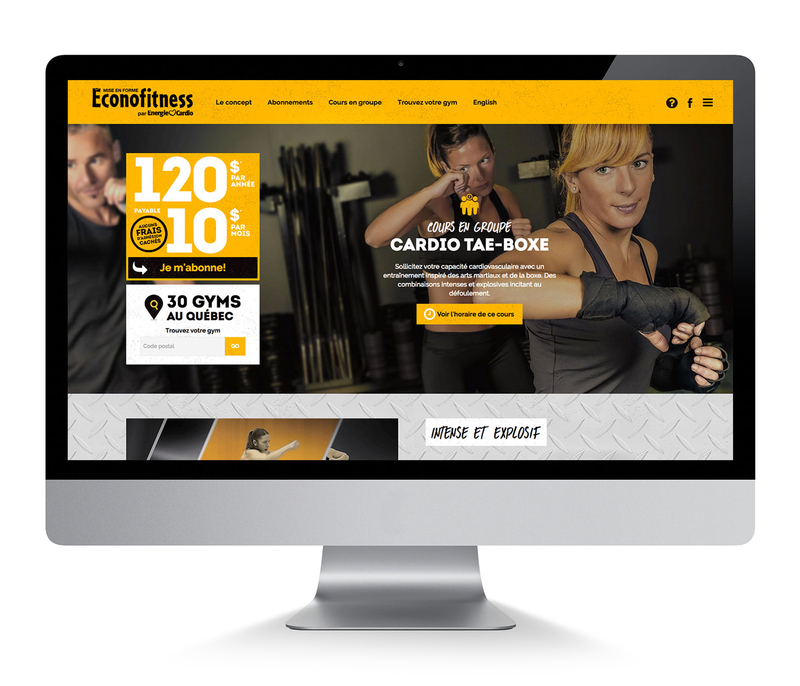 Éconofitness, a division of Énergie Cardio, entrusted Voyou with the complete remake of its e-commerce site. The main goal was to design a simple and inviting platform which puts forth the concept behind Éconofitness: to make fitness available to all at affordable prices. A great challenge... a grand success!